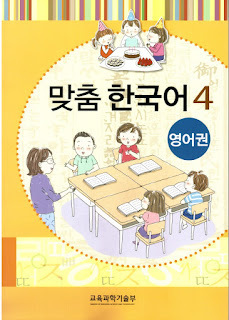 The textbook was designed with Korean school curricula in mind. 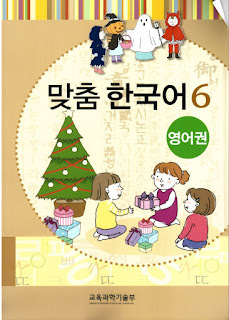 It is comprised of 16 units, so that one unit can be covered every week (1 unit per week, each lesson lasting 2-3 hours). 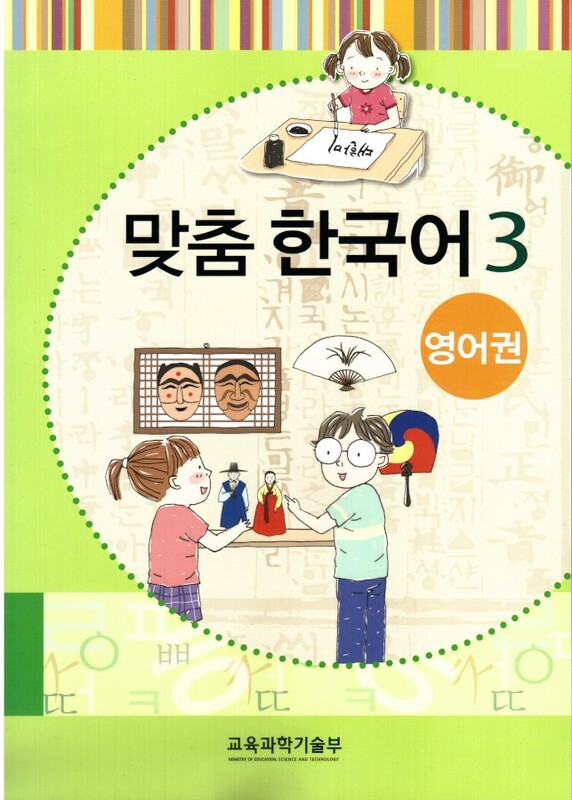 Considering that the target learners are residing outside of Korea, the textbook also includes a separate Korean Culture section to let learners naturally learn about Korea and its culture, eventually enabling students to cultivate an open mind towards the world. In addition, acknowledging that many learners may be at pre-school age, efforts were made to accommodates young children’s developmental characteristics and needs. Also, as the main target learners may be English-speakers, the textbook provides most text, including the main content, instructions in practice activities, and cultural notes in both Korean and English. 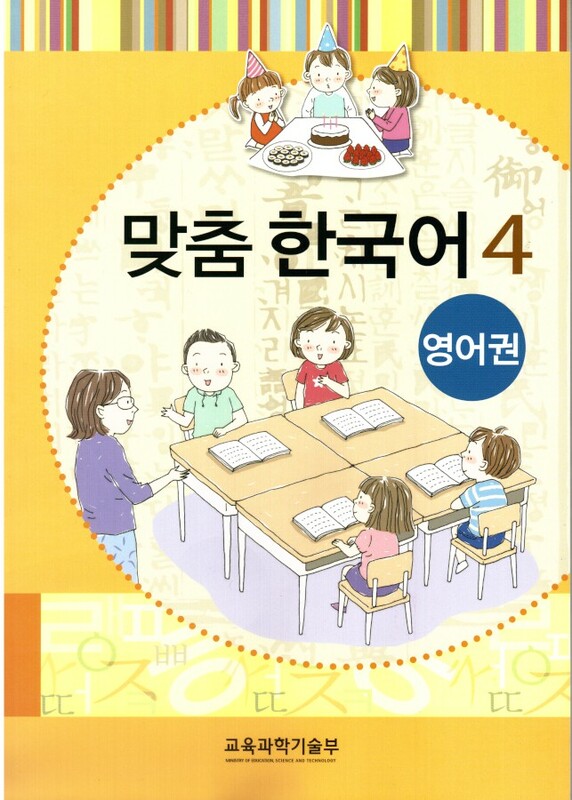 In addition, a vocabulary index, English translations of the Korean text, and unit-by-unit English summaries are provided as appendices. Also in the appendix, there is a grammar section that will enable parents with little or no knowledge to help their children learn the language at home. There are several special features to this textbook. First, proper sentence structure formation, rather than excessive grammar rules, constitutes the main focus of each chapter. The aim of the book is to have students use the language they learn right away at home or with their peers and thus the book espouses a decidedly practical approach to learning. To this end, students learn by engaging in a variety of activities intended to reduce anxieties related to learning. 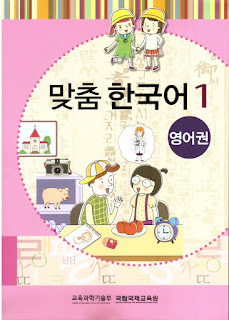 Secondly, all text are composed in the ‘해요’ ending, as the ‘해요’ ending is most frequently used in everyday Korean. Thirdly, in order to reduce confusion and increase readability, the book utilizes the Gothic type font. The textbook is comprised of 16 units. Lessons 1 through 10 help students get acquainted with Korean vowels and consonants, while lessons 11 through 16 contain basic sentence patterns and simple expressions. 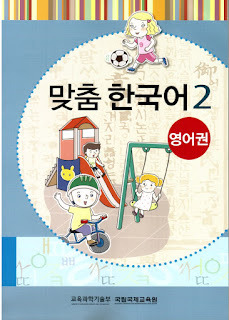 The lessons that deal with vowels and consonants were designed so that beginning learners can become easily accustomed to the sounds and spellings of Hangul. 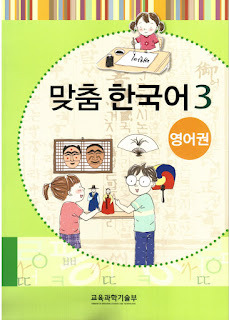 The book also introduces an array of new vocabulary with objects that students frequently see in their daily lives to increase familiarity. Lessons 11 through 16 introduce simple dialogues and descriptive texts. 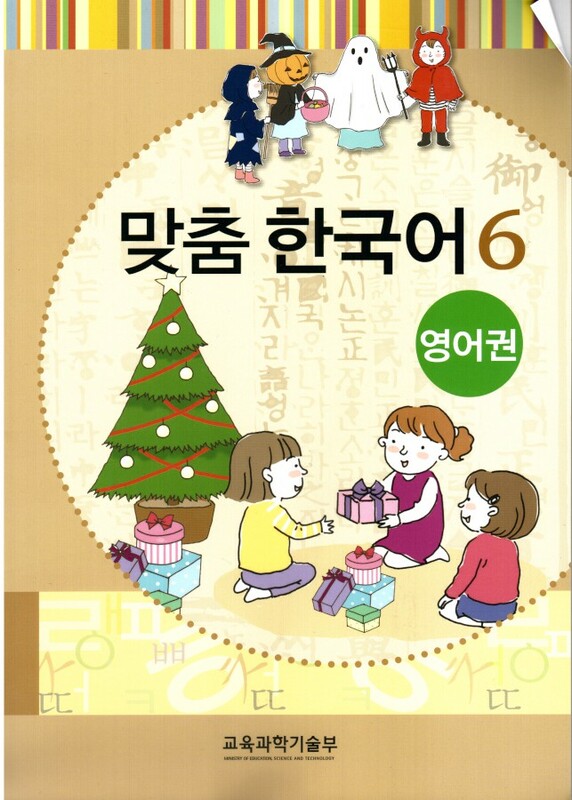 The lessons start with ‘Let’s learn’, where students are introduced to new vocabulary and sentence patterns, then go on to ‘Let’s listen’, ‘Let’s talk’ and ‘Let’s write’, which are activities that help students practice speaking and writing in Korean, and the lesson ends with ‘Let’s look at Korean culture’. Want a single link for the book with no advertisement? Please donate any amount to help this site alive. The download link will be sent to your email within 24 hours. hello, thanks for your hardwork. but i find some trouble when i try to download them. it says that the file cannot found, and the website syas server time out.. The files are hosted on mediafire. and they are all alive. I think you can download normally now. To download the files on PC, right click on the link and choose open a new tab, wait for 5 seconds to skip ads (click the button at the top right corner), and you will go to the download site. just click the download button and wait until finish downloading! i can't download the files, please fix it. Could you please tell me your problem in details? i can dont download, when you can try to download the antivirus say " a threat has been detected" and page is stop in http://quamiller.com/22hg it say they cannot found page..
could I buy these wonderful books somewhere? 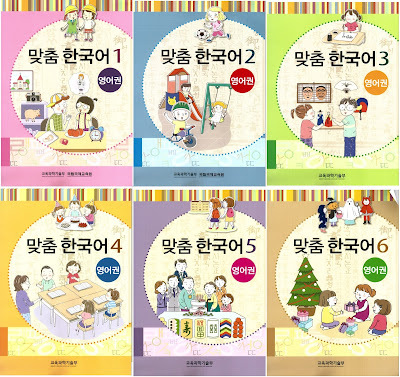 Or something like these in korean/english for children? 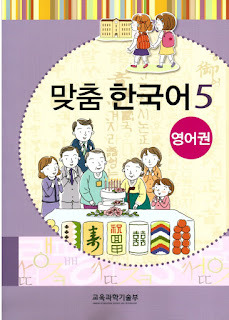 Hi, as I know these books are not sold in Korea. If it is too difficult to buy,you can bring the pdf to a printing shop to print it. All of it says "the site can't be reach". Help! Please read FAQs to learn how to download the file. Thank you so much for your hard work. I started learning Korean language with these books and it is so helpful. Could you recommend other books after finish all of these, please? 감사합니다. 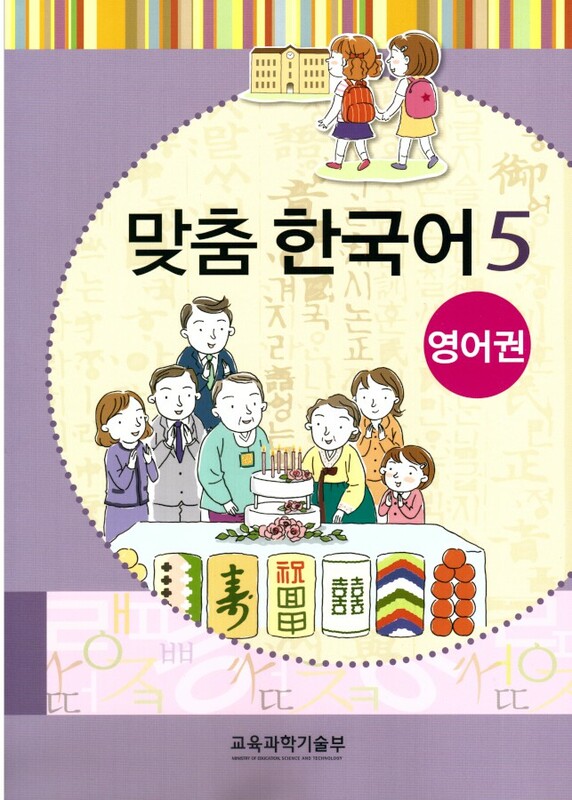 After finishing all these books, you should try to take a TOPIK test.